If you're in the Fairmount area and itching for some delicious baked bread or spectacular sandwiches, look no further than Rybread. Need further proof? Try stopping by on a weekend shortly before noon and check out the line funneling out the door. It's that good. So on a recent Saturday morning, we took the new puppy out for a stroll and decided to grab some sandwiches to go. The GF went with one of the healthier, but hearty options on the menu. As expected, there was an inherent sweetness to each bite, thanks to the whole cranberry sauce that paired well with the brie. 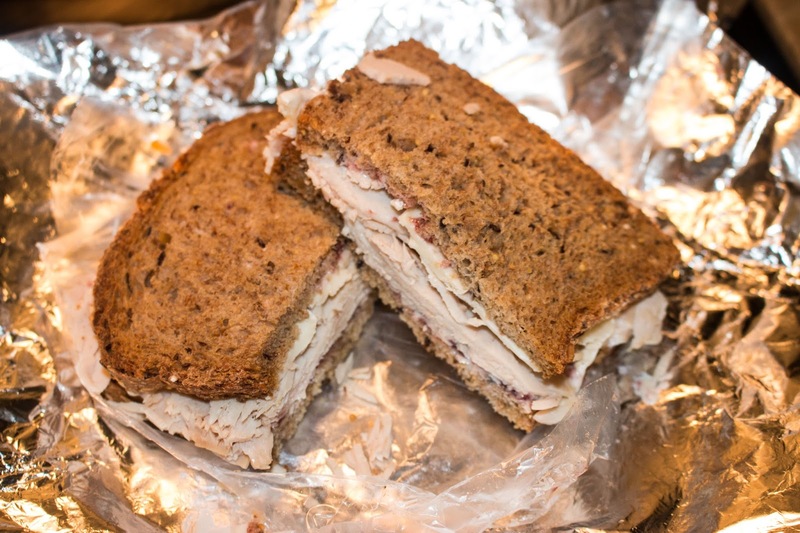 The fresh-sliced turkey breast was moist and juicy, but it was truly all about the great multi-grain bread. Soft, pliant, and delicious. As a transplanted New Yorker always in search for a proper Pastrami, or in this case, a corned beef Reuben, this hit the spot. 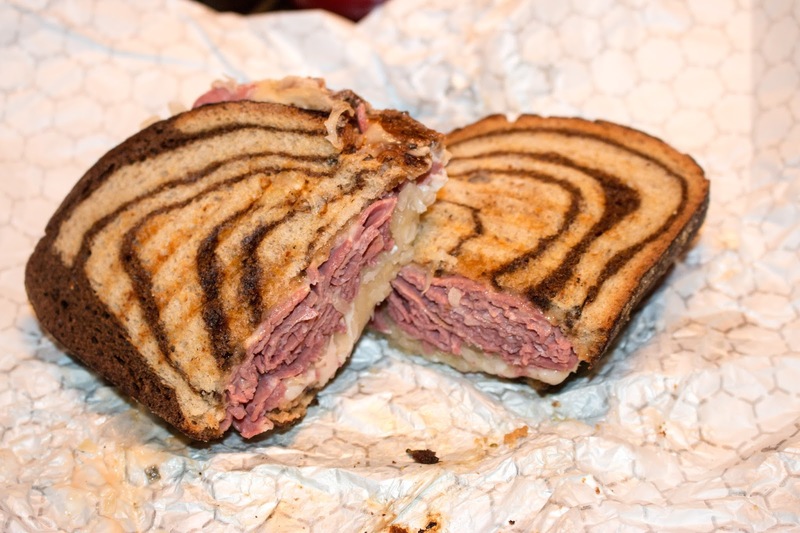 The marble rye was buttered and there was plenty of well-seasoned corned beef and crunchy sauerkraut. The Swiss cheese was nicely melted and there was just enough Russian dressing to make this a 5-napkin meal. 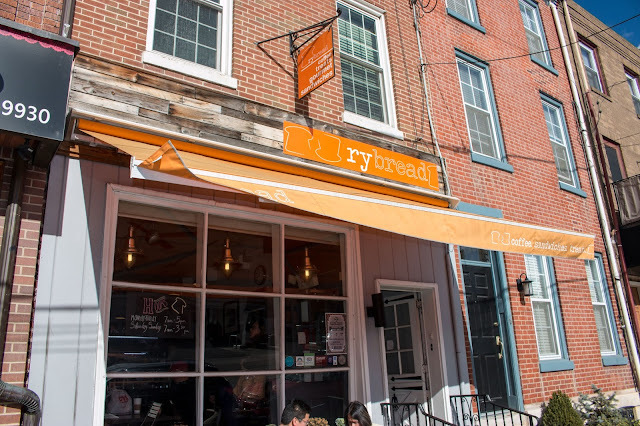 There's no denying that Rybread makes a delicious sandwich. How they could improve? More efficient prep. Even when the line was four deep (it soon became 12+ by the time I got my sandwich), the kitchen was in the weeds. Yet despite the disorderly prep, you can't help but enjoy waiting in line, while you bask in the scent of fresh-baked bread.